"Only God can make a tree," wrote Joyce Kilmer in one of the most celebrated of poems. In their book, authors Suzuki and Grady extend that celebration. The richly detailed text and Bateman's original art pay tribute to this ubiquitous organism that is too often taken for granted. David Suzuki is an internationally renowned geneticist and environmentalist and a recipient of UNESCO's Kalinga Prize for the Popularization of Science and the 2009 Right Livelihood Award. Host of the long-running CBC television program The Nature of Things, he is also the author of more than fifty books. 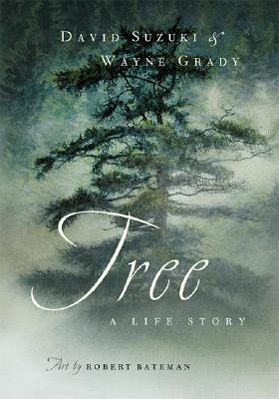 Wayne Grady is one of Canada's finest science writers, as well as a novelist and a Governor General's Award-winning translator. He has authored thirteen books of nonfiction, translated fourteen novels, and edited more than a dozen anthologies of short stories and creative nonfiction.